Sleep has become one of the hottest topics in medical and corporate circles. Insufficient sleep has been linked to cardiovascular problems like heart attack, hypertension and stroke, obesity, type 2 diabetes, pain syndromes, learning disabilities and other cognitive problems, depression, anxiety and heightened risk for suicide. Workplace accidents and performance problems are also prevalent outcomes of insufficient sleep. 1. 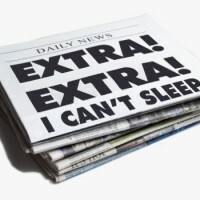 Insufficient sleep has reached nearly epidemic levels in all industrialized countries. 2. Sufficient sleep is an essential core condition for good physical, emotional and cognitive health. 3. Improving sleep quality can be achieved through brief, high quality sleep coaching sessions. The majority of sleep problems (difficulty going to sleep, staying asleep and waking too early) can be addressed with simple but specific lifestyle and habit changes. Sleep coaching is a simple, convenient way to begin winning back your good sleep. People who improve their sleep quality are often surprised by the positive changes and improvements that accompany better sleep. Sleep coaching can be done in your home or office during telephone sessions that last approximately 20 minutes. Coaching begins with a sleep assessment questionnaire that helps the user and coach get a more accurate picture of a typical night’s sleep and general sleep patterns. Up to three sessions are available at no cost to Comprehensive EAP clients. You will also get a survey sheet that helps in assessing improvement over time. Though many people try to tough it out and endure chronically insufficient sleep, avoidance often turns out to be a dangerous strategy. Genuine help is available. Please feel free to contact us (sleepcoach@compeap.com) for more information.